Fortress Of Freedom Board :: View topic - Year End Review! Posted: Thu Jan 01, 2009 5:29 pm Post subject: Year End Review! 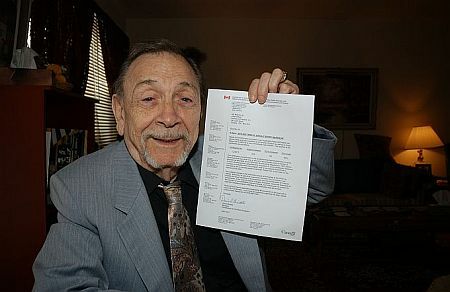 Donald Brasseur hold a copy of the CRTC television certification of his TV show! 1. The Fortress Experiment Becomes A Television Series! The final shows were certified for broadcast by the CRTC and thus we finally had our thirteen half hour show that comprise "The Fortress Experiment." The series was a documentary of all our experiences at Fortress and IAIJ and about the people that populate that place and the results of the experiment into access to the mass media. 2. "Life And Times Of Donald "Boots" Brasseur" Ready To Be Aired! The final Digital Betacam recording of "The Life And Times Of Donald "Boots" Brasseur" is currently under evaluation with CTV Inc., more news as it unfolds. 3. Second Office Opened In London, England! We opened our second office at Fortress this year under the management of Susan Earps. Susan was one of the founders at Fortress and the foothold in England gives us two markets for our TV productions! the largest record store in Canada! 1. End Of Retails Sales And Beginning Of Download Sales! The year 2008 ended active retail sales for FOF Records. Seeing the traditional retail trade disintegrate was traumatic. Hard fought relationships that enabled us to get placement in some of the largest record chains in Canada, collapsed under the bankruptcy of many large music retailers. Also upsetting was the following failure of many of the production personal that feed the music industry under the general collapse. The downloads became available at iTunes in May and we never looked back. The downloads from iTunes, Napster, Rapsody, Emusic and Amazonmp3 have reached a point where the record label is now self-sustaining. 2. 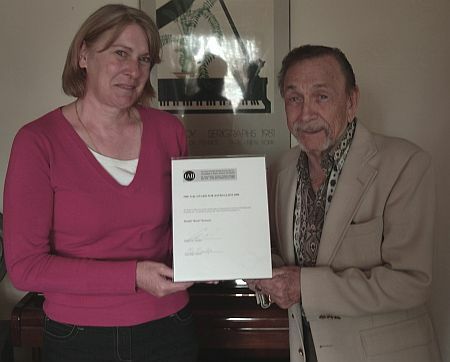 Jessica King Signed By FOF Records! Jessica King became the ninth performer signed under contract at FOF Records. This recording contract is the first developmental contract for the singer. Production started in ernest late in 2008 and will continue until the first CD is produced. 3. Second Office Opened In London,England! We opened our second office at Fortress this year under the management of Susan Earps. 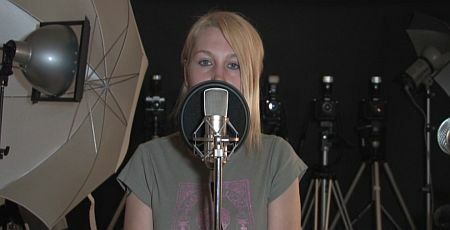 Susan was one of the founders at Fortress and the foothold in England gives us two markets for our recording artists! 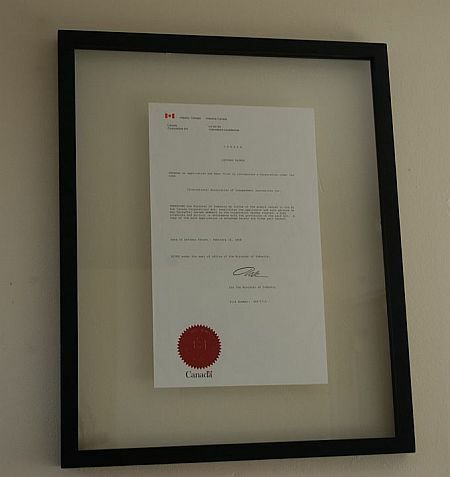 The "Letters Patent" For The Journalist Association! 1. International Association Of Independent Journalists Inc. Becomes A Reality! Our first not-for-profit association was granted it's Letter's Patent in the spring of 2008! 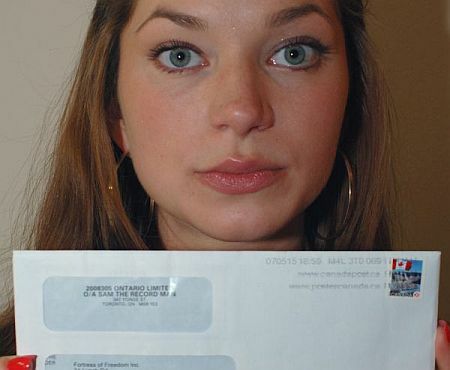 That authorizing letter gave the association of journalists a legitimacy and "mouth piece" on the international stage. Maurice Ali, founder, is the president of the association and voice of the membership which is now in the hundreds. 2. United Nations Participation Becomes A Reality! With a not-for-profit- created in the journalist association, we are now able to take the first tentative stops toward the United Nations. First will probably "observer status" at meetings/workshops of interest. Then active lobbying in the interest of journalists world-wide. 3. Government Support For IAIJ Staff! IAIJ - a not-for-profit corporation, became eligible for government assistance for our two volunteers (Ainsley Wronski and Samantha Blackwell). Small associations like IAIJ don't have much money for wages, so any assistance from the government is much appreciated! 4. IAIJ Now Has A Diploma Program! 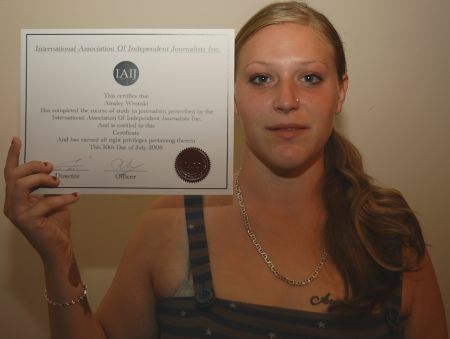 IAIJ now offers a diploma program to improve the abilities of our journalists. Upon successful completion of the program, a diploma is given the successful journalist. 4. Second Office Opened In London, England! 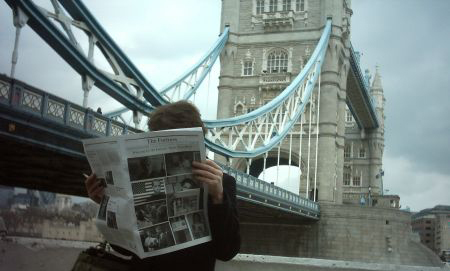 Reading our newspaper by Tower Bridge in London, England! We opened our second office at IAIJ this year under the management of Susan Earps. Susan was one of the founders at IAIJ and the foothold in England gives us two offices for our journalists! We hope to open a third office in the not too distant future! 5. 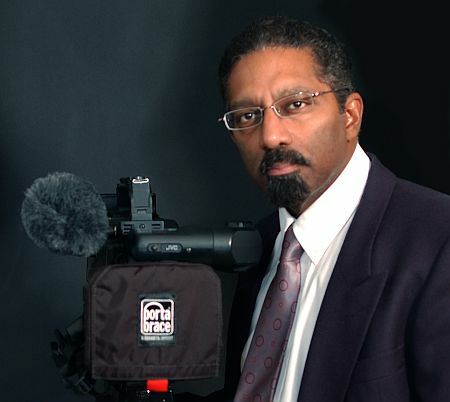 Donald Brasser Wins 2008 IAIJ Award For Journalism! second IAIJ Award For Journalism! Donald Brasseur was awarded the "2008 IAIJ Award For Journalism." The decorated WW2 D-Day combat Veteran received the award based on his work on his experiences that are documented in the half hour documentary: " The Life And Times Of Donald "Boots" Brasseur." The program should air sometime in early 2009! 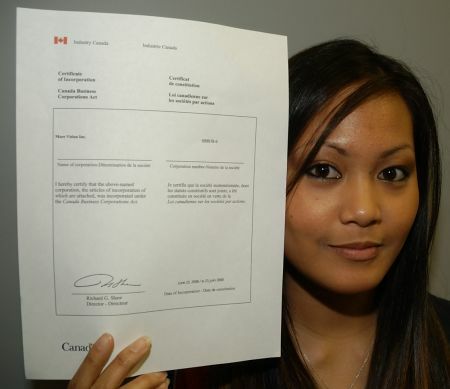 Authorizing document for MORE VISION Inc.! 1. More Vision Inc. Becomes A Reality! More Vision became a corporation in the spring of 2008. The company is a nationally registered corporation capable of international business and meetings. 2. Second Office Opened In London England! More vision opened it's second office in London, England under the management of Susan Earps. The new office allows us to provide and international reach for our clients! 3. MORE VISION Starts Producing TV Commercials! More Vision produced it's first TV commercial this year for a local music store. Expect more from More Vision in the future! Emily Smith - Acct. 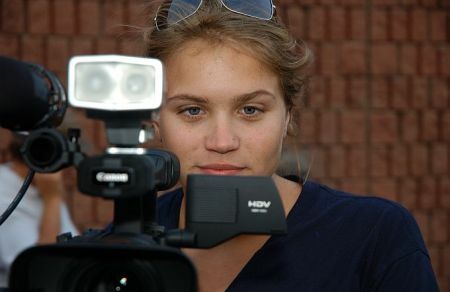 Executive and part-time camerawoman! Our plans for all corporations are the same. These involve continued growth and concentration on the corporate constitutions as we expand throughout the world. We have reached the fifth year mark and have the large numbers to start looking for partners and venture capital to help grow and develop. We are fortunate to be entering the professional media markets on the back of an economic decline that has demolished much of the competition at the low end of that field. This creates much optimism here as we rush to position and consolidate our place in the mass media landscape. We are all looking forward to 2009 as our best year ever!